I mentioned a few weeks back, that I was sent two necklaces from 9th & Elm. Well, this beauty I'm wearing is the second one! Once Elizabeth (Oia Jules designer) released this style, I fell in love. And I fell hard. 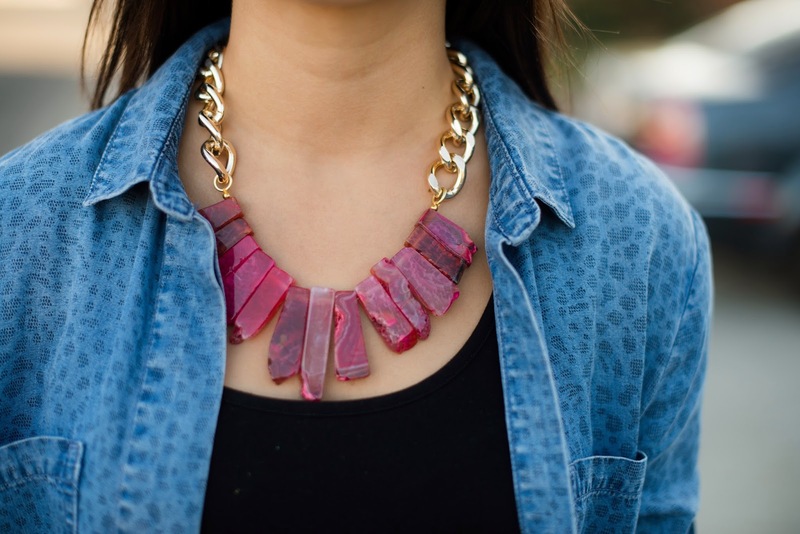 The vibrant agate slices paired with the chunky gold chain made for a stunning statement piece. 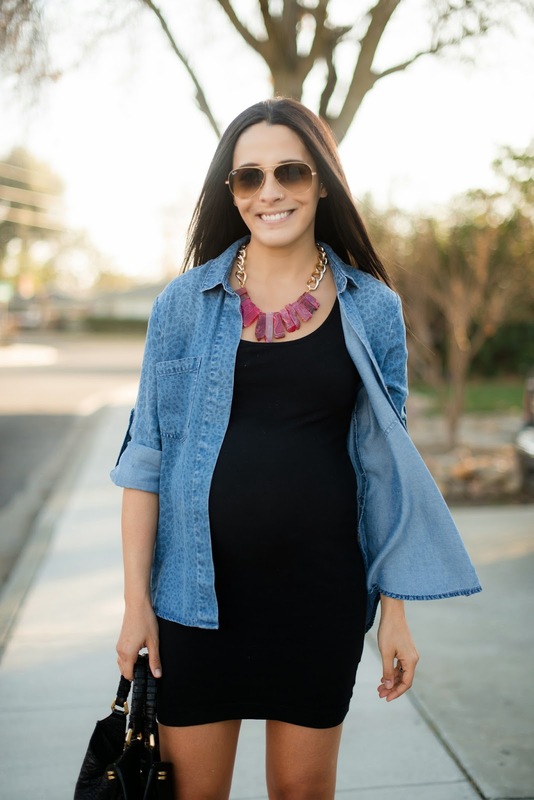 I wanted the necklace to take center stage in this outfit, so I kept everything else very simple. 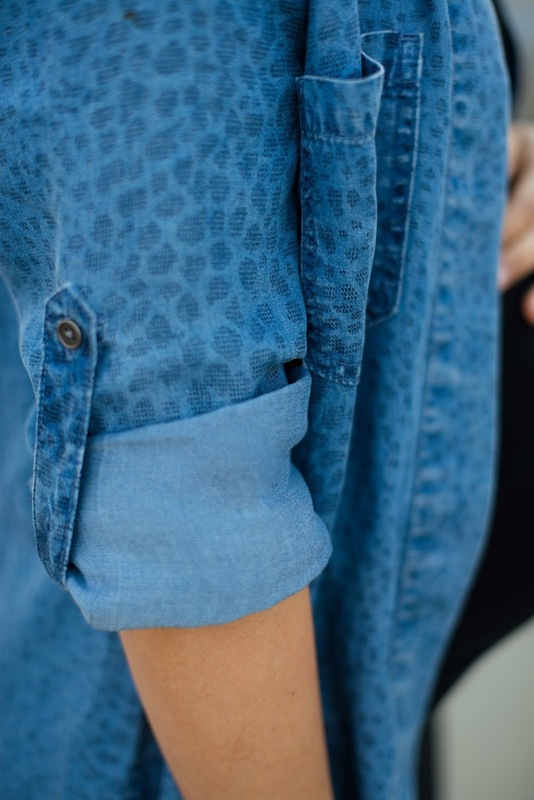 Another item I'm crazy about is my new chambray from Marshalls. I can't get enough of the subtle print; in my opinion, it really takes the top to a whole new level. I hope you all enjoy your weekend and thank you again for reading. How cute are you! 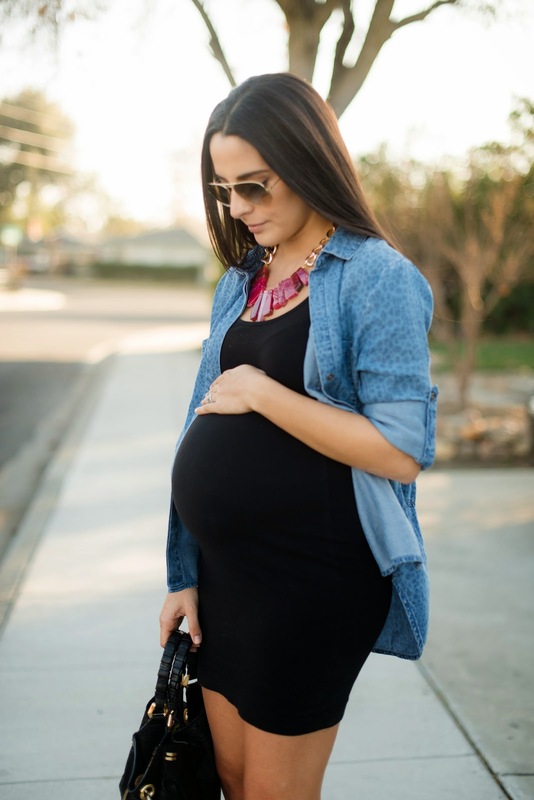 Loving your baby bump and how you dress it so well! Wow! Thank you! It's been challenging as I've been getting bigger so that's a huge compliment!